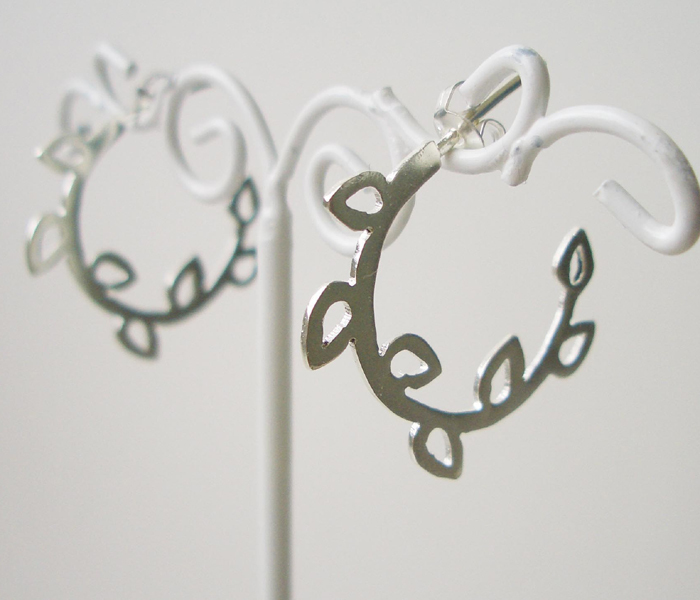 Israeli jewelry designer Shlomit Ofir plays with the branch and leaf motif in these lovely silver hoop earrings. Each small, delicate earring depicts a blossoming branch that curves back and under in a classic, flattering earring design. 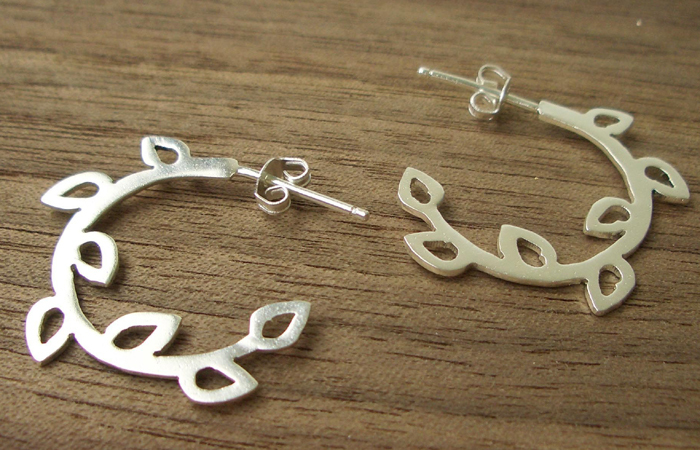 These branch earrings are each cut from a single piece of brass and plated in matte silver. The branch hoop attaches to a sterling silver ear wire. 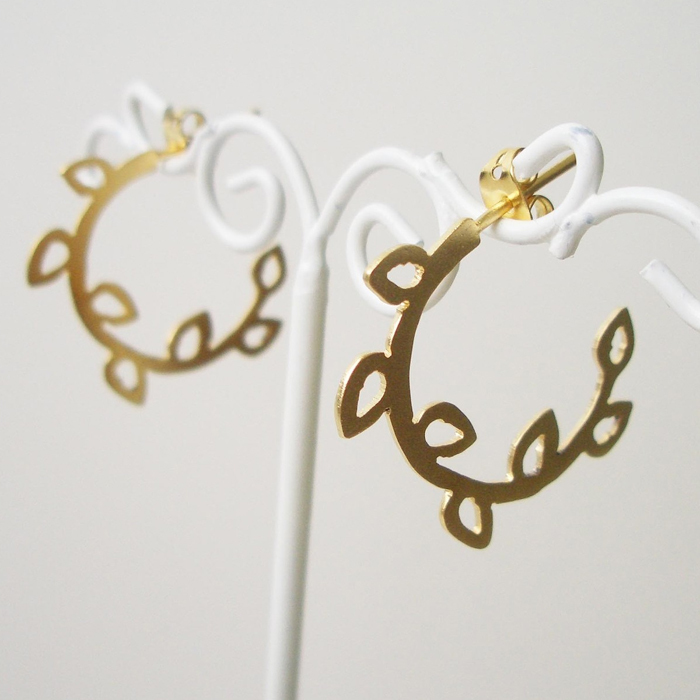 The diameter of this understated hoop earring is 0.9 inch (23 mm). Shlomit Ofir is inspired by and fascinated by the natural world. Her modern yet timeless handmade jewelry will appeal to lovers of nature jewelry and fans of modern handcrafted jewelry in gold and silver plate. Her original pieces make wonderful gifts for anyone with an eye for unique jewelry design and trends in modern Israeli jewelry.